It’s loud when you want to blast through a canyon, quiet when you’re caught in traffic. The Giulia is the perfect dual-personality sports sedan. I’m still concerned about quality issues that were spotted by other outlets when the car was first released, though I didn’t notice them myself. There’s a lot working against the Alfa Romeo Giulia Quadrifoglio, a brand that’s unfamiliar to buyers in a segment that’s crowded with brilliant entries. There’s a concern over reliability. It costs $87,595. It’s a tough sell from the start. Despite this, Alfa Romeo has built what is unequivocally the most brilliant car I’ve ever driven. First, let’s establish what we’re working with. The Giulia Quadrifoglio is based on the Giulia I reviewed last week, but with the performance dials all pegged to the max. It gets adjustable magnetic suspension, a torque-vectoring differential, a couple of carbon fiber bits, high-performance Pirelli rubber and upgraded Brembo brakes. Most importantly, it gets a Ferrari-derived, twin-turbocharged V-6 doling out 505 horsepower. The interior is comfortable, with tight racing buckets that grab you by the hips and hold you in for the ride ahead. Material quality is up to class standards, though nothing too exciting. It comes with quality speakers, CarPlay, lane departure warning and adaptive cruise control. The ride, thanks to the magnetic dampers, is entirely controlled and composed in daily usage. It isn’t overly loud. All in all, it’s a traditional sports sedan; completely docile and controlled without a hint of drama in daily driving. But turn the DNA drive select controller from N — Normal — to Dynamic or Race, and the QV comes alive. The eight-speed auto prepares to deliver snap-quick shifts through the meaty, metal paddles behind the wheel. The exhaust baffles open up to allow more of the sonorous engine note through. The throttle quickens for maximum response. Drop the hammer and you’re slamming past 60 in 3.8 seconds, rocketing toward the Giulia’s 191 mph terminal velocity. The steering is quick, but unlike most manufacturers, Alfa doesn’t make it artificially heavy to feel more “sporty.” With sticky tires and a brilliant chassis, you really don’t have to worry about finding the Giulia’s limits on public roads. This isn’t a car that drives impressively for a sedan. It’s simply a masterpiece in any class. While the Cadillac ATS-V previously was the champion of the sports sedan class, the razor-precise and tame cornering of the Caddy can’t match the ferocious yet composed personality of the Giulia. The Cadillac wants to flatter you, the Giulia wants to bite you. The minor complaints from the standard Giulia remain. The infotainment system can be a bit frustrating, asking you to negotiate CarPlay with nothing but a rotary dial. It also exhibited the same problem recognizing when I pressed the “lock” or “trunk open” buttons on the keyfob, which Alfa says was probably the result of low keyfob battery. But the Quadrifoglio has one issue that the normal Giulia doesn’t: seriously frustrating brakes. A combination of poorly calibrated brake-by-wire software and racing-focused, carbon-ceramic brakes makes stopping the Giulia an exercise in frustration. It’s weirdly difficult to apply the right amount of force, meaning you’re always either jerking the car to a stop or not slowing down as quickly as you’d like. It gets easier the more time you spend with it, but the best option is to just not get the carbon-ceramic brakes. The standard pads are supposedly better. More concerning are the reliability issues experienced by other outlets. I did not experience any of this, but you should know about what others found. Motor Trend’s test car shut down at a stoplight and refused to restart or shift into drive, requiring a tow. Road & Track couldn’t get one to complete a full lap of a racetrack without it breaking in some way, despite multiple attempts. Jalopnik’s car threw a throttle fault code and refused to accelerate on the highway. Car and Driver’s long-term tester has spent one full month in the shop in only five months of testing, requiring a new fuel pump and differential. It’s extremely rare for cars to break down during reviews because manufacturers are usually meticulous about ensuring their press fleets are trouble-free. While Car & Driver and Motor Trend later gave awards to the Giulia, concerns linger. 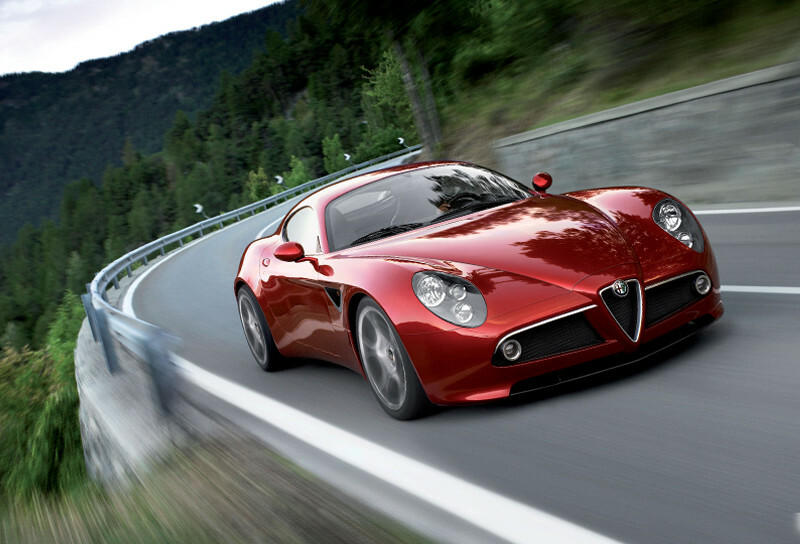 Alfa, for its part, says that it took note of early-model issues and worked to rectify the problems. If you’re concerned about long-term quality, I suggest leasing so that the car is always under warranty. A Giulia QV starts at $75,295. The gorgeous red you see on our Giulia tester — Rosso Competizione — is a $2,200 option. Most colors cost $600, with a lot of good options available. I’d pay the $400 for the awesome carbon fiber racing wheel, just because it looks that good. In addition, $1,200 gets you the driver-assistance features that help the daily drivability of the Giulia, while $500 lets you pick a better set of wheels than the base ones. Skip the carbon-ceramic brakes and save yourself a full $8,000. All in, plan to spend $77,995 as long as you stick with a $600 color. I wouldn’t buy one of these to own for a long time because I’m still worried about quality issues that other outlets noticed. I never had any problems, though. I really liked the Alfa Romeo Giulia Quadrifoglio. I’d sell everything I own, eat nothing but Ramen and live in a hut to lease one for three years. It really is that good.